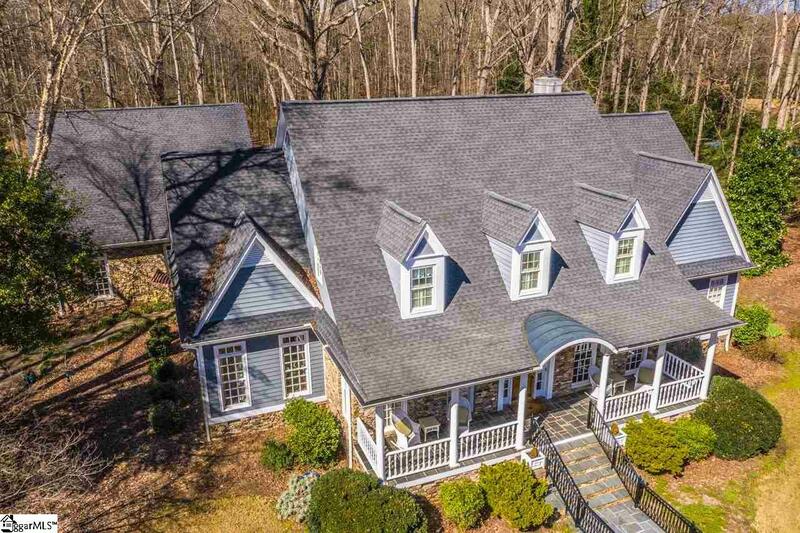 Imagine the perfect home in the perfect place...It's all here in this gorgeous custom beauty in one of Anderson's most desirable addresses! Drive in the circular driveway and fall in love with the intricate stonework on the outside of this home and front porch. Walk inside to see wonderful custom perks everywhere...from the arches to the windows to the floors. A huge formal dining room and ample office complete with built in bookshelves are accessible from the oversized foyer. There is an extra large kitchen with 2 yes 2 pantries and a breakfast area. Kitchen has island for extra seating, plenty of cabinets, storage galore and granite countertops. Large laundry room with sink off of the kitchen. Inviting living area has a cozy fireplace and gorgeous sunroom. All windows on the back side are floor length and invite the beautiful outdoors inside! Sit in the sunroom and enjoy the koi pond and waterfall in a very private backyard with beautiful stone patio all around with sitting area. Walk in through the glass enclosed walkway to a half bath and the 3 car garage. There is even a workshop off of the garage. Upstairs above the garage you will find a huge bonus room and storage. Separate heating system for this room and pool table and bar stay with the home! Home features 3 separate climate zones. Back inside walk to the one of two master suites. The one downstairs has walk in closets, double sinks, jacuzzi tub and separate shower. Upstairs you'll find 3 more ample sized bedrooms, 2 more full baths and a loft. Then walk into the recently added master suite! Large room with 2 closets with build in organizers and a huge walk in tiled shower. 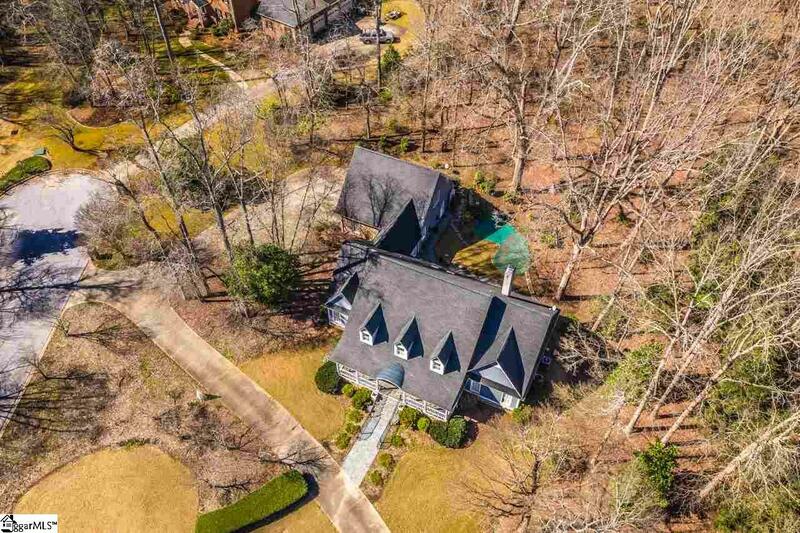 Over 5200 sq ft of living space, 5 bedrooms, 4 full baths and 2 half baths. 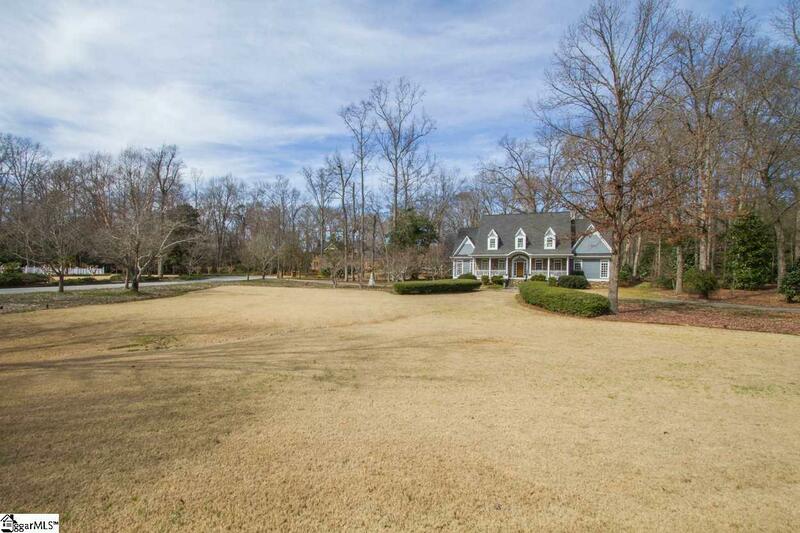 Located on 1.56 acres in the heart of town, yet private and peaceful. Close to shopping, hospitals and excellent schools.